2014 has seen significant improvements to solar technology at the same time as solar costs have declined – disrupting a well-defined industry. Earlier this month, the University of New South Wales announced that they had developed solar technology that doubled current energy generation from 20% to 40%. 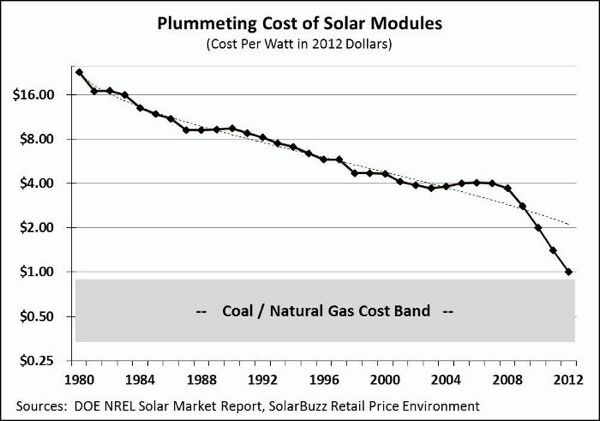 Coupled with this, the cost of manufacturing solar has declined from $4 per watt in 2008 to $1 per watt in 2012. These developments point a spotlight on energy pricing and the costs of distribution. According to recent statistics provided by the Clean Energy Council (CEC) Victorian businesses have spent $75 million on solar resulting in business cost savings of $10.5 million per year. To date, there are over 2,400 solar PV systems in the range 10kW to 100kW with the CEC estimating that the total capacity of those systems is greater than 44,000kW. The scale of the uptake, and the rapid price reduction, is re-aligning electricity generation market. Small businesses across the Australia are investing into solar as a prudent asset investment. Currently modelling conducted by Sustainable Melbourne Fund indicate that if solar manufacturing prices remain at $1 per watt and energy generation is doubled, solar investments can be cash flow positive down $0.085/kWh. This could become a major disruption for electricity generators. The Guardian Australia reported that during the peak demand period for energy retailers (between 7am – 11pm) the generators were offering negative pricing, or paying electricity retailers to take their energy. This is not uncommon as it typically happens in the early hours of the morning, but the occurrence of it during the middle of the day was significant. This negative pricing is due to the decrease in demand on fossil fuel generated electricity because of the large uptake of solar. 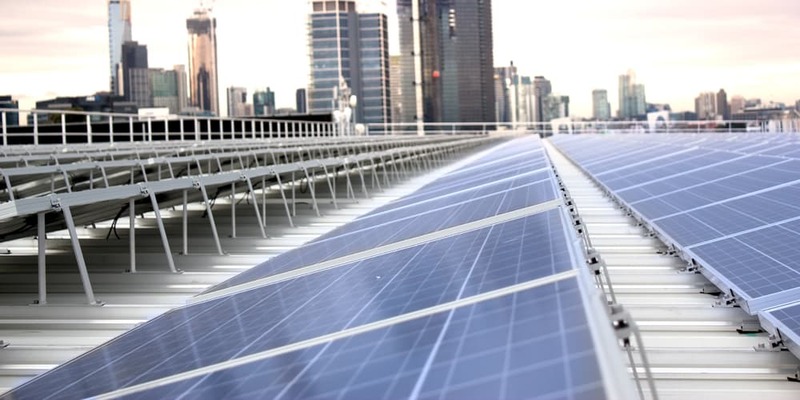 Nationally, Australia has 3,400MW of roof top solar installed across 1.2 million buildings. So what has contributed to this rapid uptake of solar? The solar industry has experienced a phenomenon known as Swanson’s Law – although not exclusive to the solar industry – it has greatly impacted on the uptake of solar. Swanson’s Law states that manufacturing prices drop 20% for every doubling of cumulative shipped volume, effectively solar installation costs halve every three years. Therefore, given traditional grid electricity remains at their current price it’s now beginning to make prudent financial sense to install solar. This creates urgency for business and building owners to act. As the Grattan Institute report recognised, as businesses reduce their energy reliance on traditional grid electricity, those that are left connected will be pay more, as the fixed cost of transporting electricity is shared by fewer and fewer. If you’re considering solar for your building, contact us and we’ll work collaboratively to get the best solution for you.